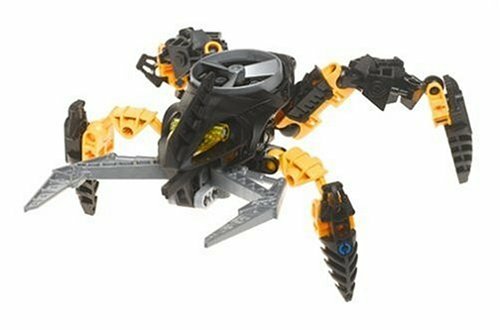 Obstacles melt away before the acid spinners of the Keelerak! 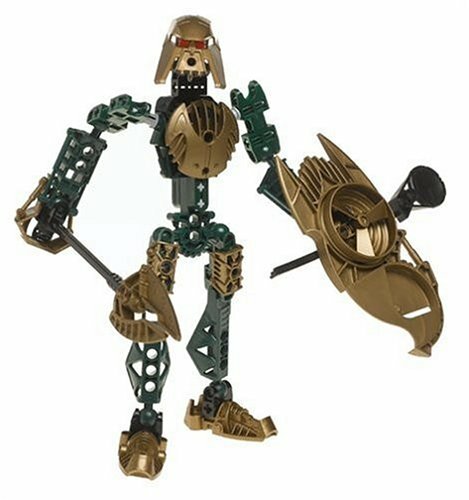 Bionicle power from the past! 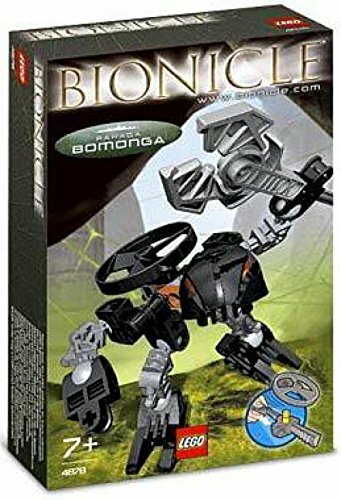 The Suukorak can slow their life processes doen to almost zero, appearing to be dead. 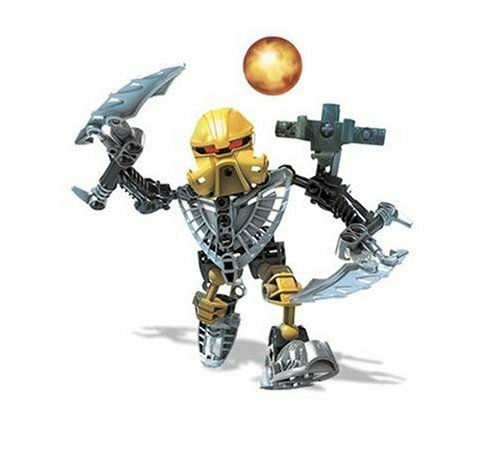 Mutant master of fire! 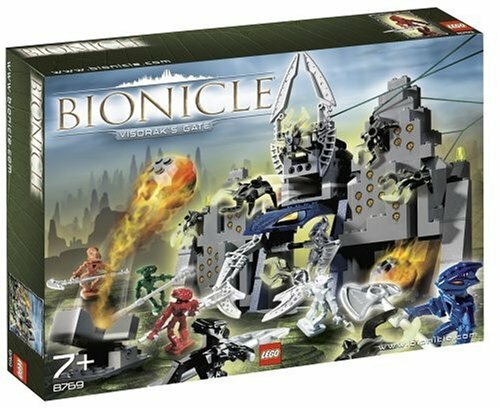 The six Toa Metru returned to the city of Metru Nui, intending to save the sleeping Matoran and bring them to their new home. 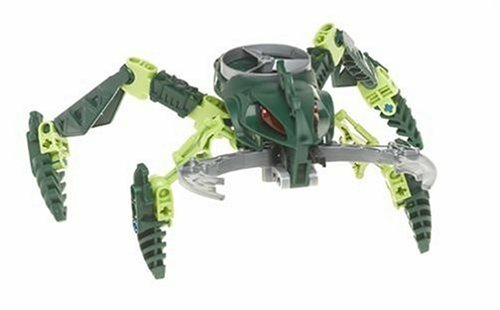 Ambushed by Visorak spiders, the Toa Metru are mutated into Hordika ... half Toa, half beast! 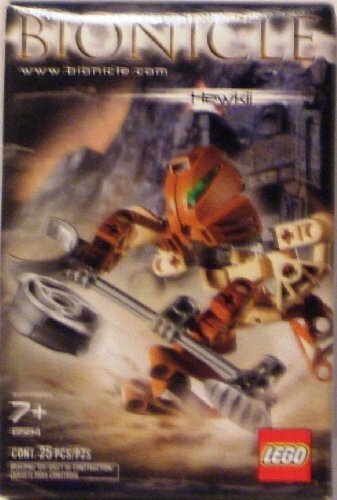 Can they overcome their new enemies and their own bestial natures in time to rescue the Matoran?Toa Hordika Vakama fights to lead his team of Toa on the most dangerous mission of their lives, while trying to contain the beast within himself! 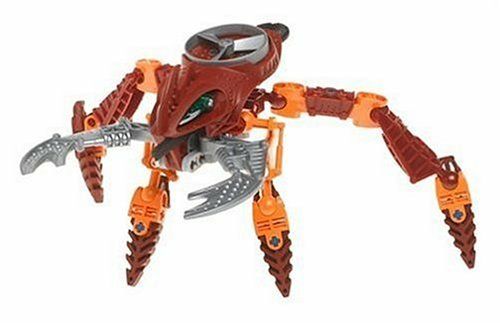 His Rhotuka fire spinner can burn through any obstacle, and his blazer claws can charge it up to even greater power.New feature! 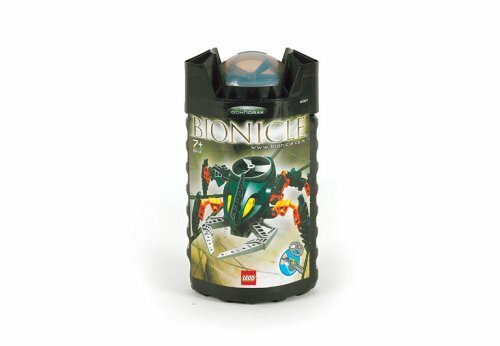 Pull the ripcord to send the Rhotuka spinner flying! 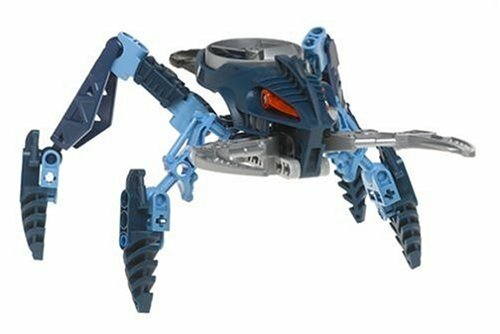 Includes instructions to build a Rahi cable crawler with Whenua (Black)! 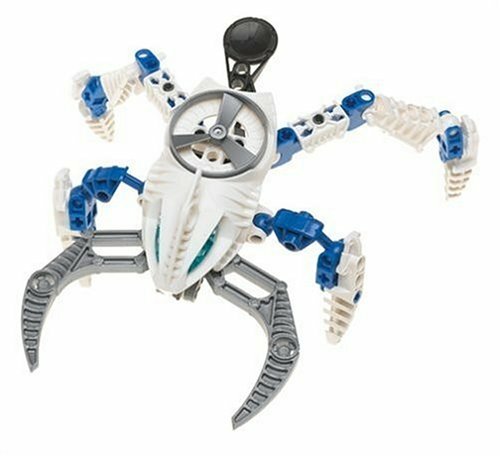 One of a team of Hydruka, native undersea creatures that serve the Matoran of Mahri Nui, Thulox's job is to harvest the fields of air. 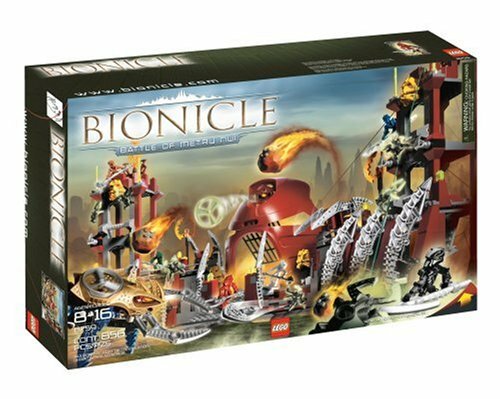 For ages: 4 and up Details (Description): The Toa Hordika have captured a Visorak tower and turned it into a mighty fortress, complete with special Kanohi mask gateway charged with elemental powers to repel the spider creatures. 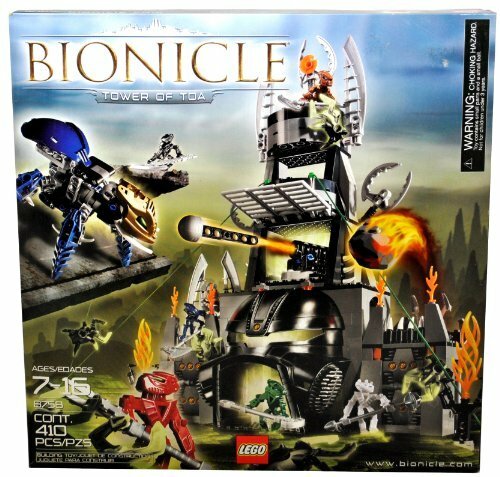 Includes Kahgarak with blunt shooter to knock over the tower, hidden doors, Rhotuka spinner launcher, mini Visorak figures and six mini Toa Hordika figures. 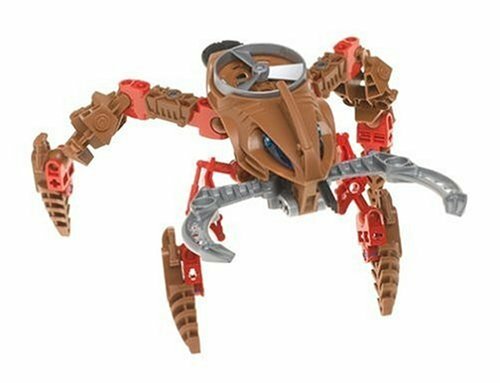 MinifigurePacks: Lego Bionicle Mini "VISORAK OOHNORAK"